Xamarin and IBM today announced a new interoperability feature across the Xamarin cross-platform mobile development environment and IBM's MobileFirst portfolio. It enables enterprise developers to build more secure mobile applications. Xamarin said interoperability with IBM MobileFirst Protect enables enterprises to more securely deploy, manage and monitor business applications. IBM MobileFirst Protect, IBM formerly MaaS360, is a secure enterprise mobility management platform that provides mobility management and security of mobile devices, applications, documents, emails, plus access to the Web from a single portal. IBM and Xamarin initiated their partnership around MobileFirst last October and today's move builds on that. Xamarin helps organizations build multi-platform mobile apps. The combination of Xamarin and now IBM MobileFirst Protect enables developers to use the Xamarin platform to build iOS, Android and Windows apps using shared C # code. The interoperability also enables rapid user provisioning, access and continued app lifecycle management from cloud provisioned services. "Xamarin has had a blockbuster stretch the last couple of years and we're now reaching thousands of customers and seeing a huge uptake in mobile for businesses," Nat Friedman, CEO of Xamarin, told eWEEK. "We're seeing a large number of B2C apps being developed as we're hitting an inflection point where big companies are serious about their adoption of mobile, particularly in areas like retail, insurance, transportation and travel and others." IBM MobileFirst Protect, enterprises can secure Xamarin applications, protect corporate With data and enforce compliance policies across mobile operating systems without requiring further development, Friedman said. Moreover, in combination, with the IBM MobileFirst SDK for Xamarin, developers gain a unified API to build mobile applications for secure access to backend services. "Securing mobile app data and access to mobile apps, while still creating an experience that engages employees, is critical to mobile success in today's world," said Anar Taori, director of product management at IBM Security, in a statement. "Now, our customers using Xamarin can easily integrate with our comprehensive EMM capabilities to protect enterprises from a multitude of threats." Research firm IDC predicts that worldwide mobile shipments will reach 480 million by 2016, with 65 percent of devices used in BYOD workplace environments. Xamarin holds that employees expect their work apps to have the same high-quality, high-performance user experiences as consumer apps. They are bringing more personal devices into the workplace, and those devices are interacting with exponentially more user and company data. As a result, enterprises must have scalable ways to build enterprise apps that employees will adopt and be able to secure them. "We are dedicated to helping developers bring secure, high-performance, high quality mobile apps to users worldwide," Friedman said in a statement. "Our work with IBM combines Xamarin's capabilities for building engaging apps with IBM MobileFirst Protect's robust EMM capabilities to make enterprises more successful." IBM initially approached Xamarin about supporting the IBM MobileFirst platform, as the companies had overlapping customers and compatible strategies, Friedman said. Since the partnership was announced last year, Xamarin and IBM have been winning a lot of joint business, he added. 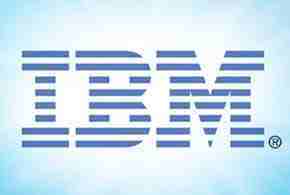 "A lot of our growth is coming from the growth of enterprise mobility - that's why we partnered IBM with," he said. "We have deep technical integration that covers the management side and the back end side." Not only do EMM solutions reduce enterprise IT costs through simplified secure management of apps, data and devices, they also allow organizations to scale and provide a foundation for responding to future needs or vulnerabilities. According to Research and Markets, enterprises spent an estimated $ 11 billion on mobile device and network security alone, with future growth expected to be at a 20 percent annual over the next six years.